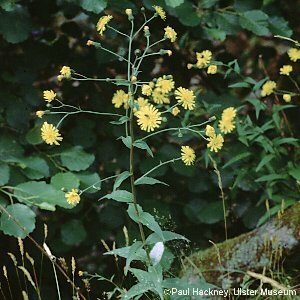 One of the so-called 'foliose' hawkeweeds, with tall stems with many narrow leaves up the stem and an inflorescence of bright yellow flower heads. 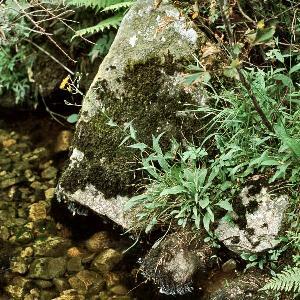 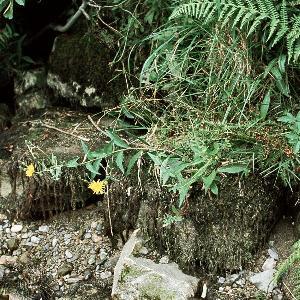 An attractive species of riversides, especially in sheltered and wooded glens in upland areas such as the Mourne area or the Antrim glens. 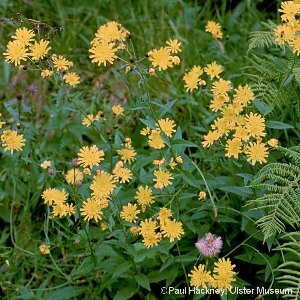 The commonest of the foliose hawkweeds; flowering from July onwards.